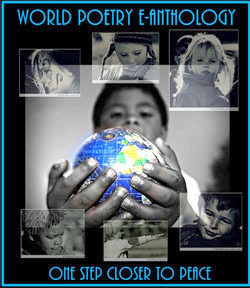 World Poetry Celebrates Yaara Ben-David from Israel! The World Poetry Café had an enchanting show on April 27, CFRO 100.5 FM with poets from Israel and Ghana phoning in. To LISTEN CLICK HERE! Yaara Ben David phoned in at 1:10 pm PST, CFRO 100.5 FM. She read a poem in Hebrew and we listened to a lovely Clip of music based on her poem as well as hearing her profound thoughts on poetry. Her comments and lovely voice added a special quality to the interview. Oswald Okaitei, World Poetry Theatre Director and multi-award winner, Called in from Accra, Ghana at 1:40 pm PST with interactive song and poetry poems. It was great to hear what he is doing and the possibility that he may visit Canada in August. We also want to thank him for his warm words about World Poetry Canada International and how our belief in him has helped. Also, the World Poetry Café radio Show Team of Host and producer Ariadne Sawyer, MA, co-host Anita Aguirre Nieveras, special tech, Victor Schwartzman , special volunteer and dog Willow did a wonderful job. Yaara Ben-David is a veteran Israeli poet residing in Israel. 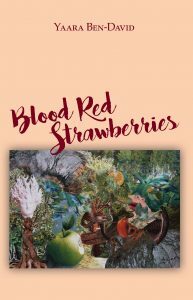 To date, she has published nine books, of which seven are poetry books (including the new book “Blood Red Strawberries”) and two are a collection of essays on Israeli and international literary works. These books have received acclaim in Israel, earning awards and prizes. 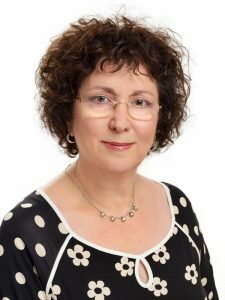 Her poems, written in Hebrew, have been translated into various languages and published in literary publications worldwide. Dozens of her poems have been put to music and subsequently performed by well-known musicians. Her recently published book of poems, “Fragile Balance,” has been warmly received, lauded on the pages of literary journals and on Israeli radio programs. oblivious to their own longing. like a contradiction within itself. Yaara Ben-David (C) All rights reserved by the author. This entry was posted in Ariadne's Notes, E-Poets, Featured Poets, General and tagged Anita Aguirre Nieveras, Author Sharon Rowe, International Peace Award Ariadne Sawyer, Israel Ben-David, Oswald George Okaitei, Robert W. McGregor, Yaara Ben-David on April 30, 2017 by Ariadne.